The best wireless Bluetooth earbuds under 100 dollars you can get right now. What to Look for in Wireless Earbuds under $100? Which Wireless Earbuds Deliver the Best Sound Quality? Here are the top wireless earphones for less than $100 you can use for everyday listening, commuting, or sports. Get the latest Bluetooth versions, the strongest battery performance, and the best-designed earphones that a $100-price point can get you. RHA MA650 Wireless are the best wireless earbuds under $100, and here are the reasons why. If you’re looking for Bluetooth earbuds with crystal clear sound and an affordable price, check these out. Their neckband design is not only appealing, but also quite functional. You can take the earbuds out of your ears, and they will hang around your neck. Plus, the earbuds stick together because of the built-in magnets. The in-ear headphones are lightweight. That’s why they are very comfy even after many hours. They are also well built, made of high-quality materials (metal). On top of that, you get IPX4 water protection which makes them resistant to sweat and rain. The battery life is quite impressive too. It lasts for about 12 hours. The wires coming from the neckband are a bit long. They can get in your way. The sound these RHA earbuds produce is amazing (for the price). It is a sound you wouldn’t expect from earphones under $100. Bass is clear and warm. Mids and treble nicely balance the bass. Overall, the sound is surprisingly good. 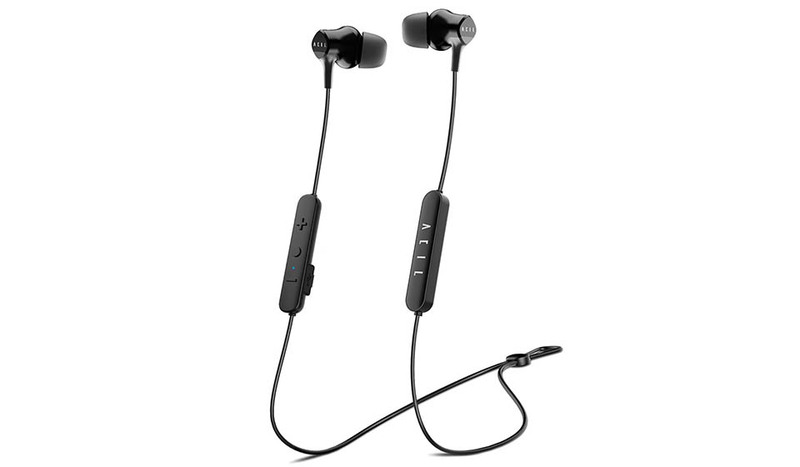 RHA MA650 Wireless are really one of the best Bluetooth earbuds under 100 dollars you can get. Their wonderful sound and smart design will make you fall in love with them. JLab Audio JBuds Air are the best true wireless headphones under $100. They feature a lot of great technology, even though you can get them below $50. True wireless earbuds are usually expensive, but not JBuds Air. You can get them for well under $100 while still performing well. The first thing you notice is their size. They are quite small. That’s why they can fit in your ear perfectly and stay there, even if you go running. Also, the Bluetooth connection is reliable (super important for true wireless). Their battery lasts more than 4 hours, and it’s quite impressive. On top of that, a stable fit and sweatproof design make them survive the sweatiest workouts. They are great for everyday use as well as sports. When you take calls, you hear the speaker in your right ear only. It can be annoying. They produce a slightly bass emphasized sound. The sound is clear and overall quite surprising for this price range. Music like hip-hop will sound great with these in-ear earbuds though you can’t expect sonic fidelity. JLab Audio JBuds Air is a great pair of budget true wireless earbuds. 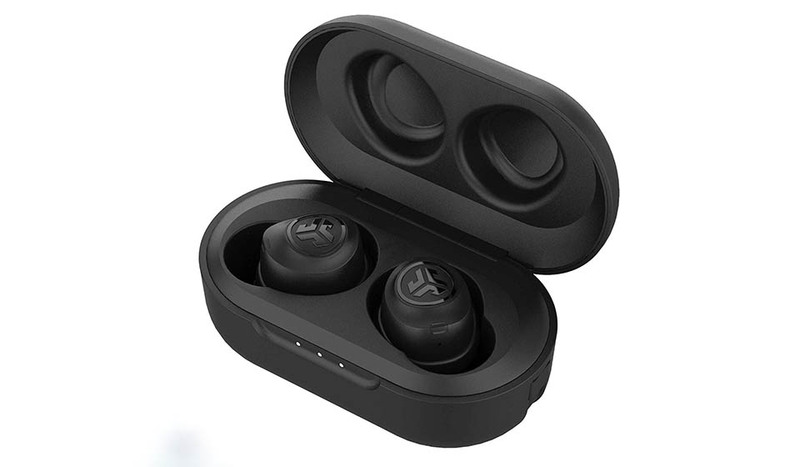 With their superb connection and an enjoyable sound, they can compete with true wireless buds twice the price. 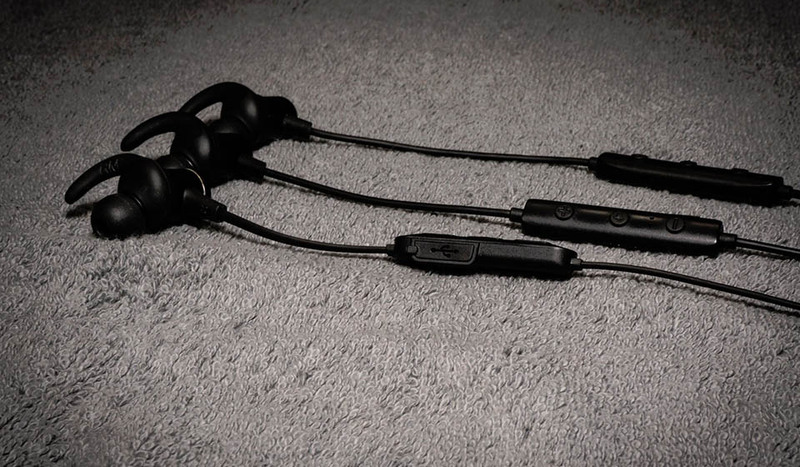 Jaybird Tarah are the best workout earbuds under $100. If you’re looking for dedicated sports wireless earbuds that you can get under 100 dollars, these are your top choice. Jaybird makes some great workout earbuds. Their ergonomic design is stable and comfortable for all sports situations (use ear hooks). Ear tips don’t enter your ear canal too deeply. Plus, they are lightweight. So, you can wear them for a long time. On top of that, they are IPX7 waterproof, so you don’t have to worry about water damage. You also get an in-line remote with a decent mic to help you manage tracks and calls. Up to 6 hours of power gives you enough time to use them in the gym for a few days. Battery life is ok, but nothing special. 6 hours is a little bit short. 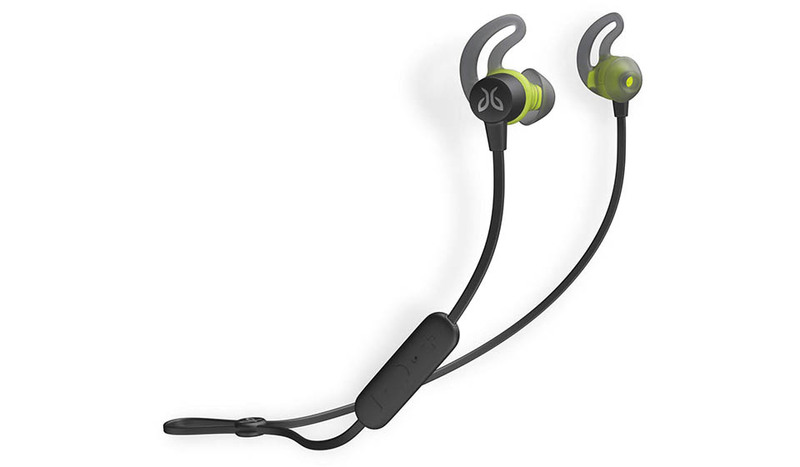 You can pay a bit more (over $100) and get up to 8 hours with Jaybird X4. The sound they produce is above their price range. Their sound signature is somewhat balanced, but you can change it with their equalizing software (Jaybird App). With the app, you can listen to dozens of different presets, from flat to bass-heavy. A great audio quality most people will enjoy. 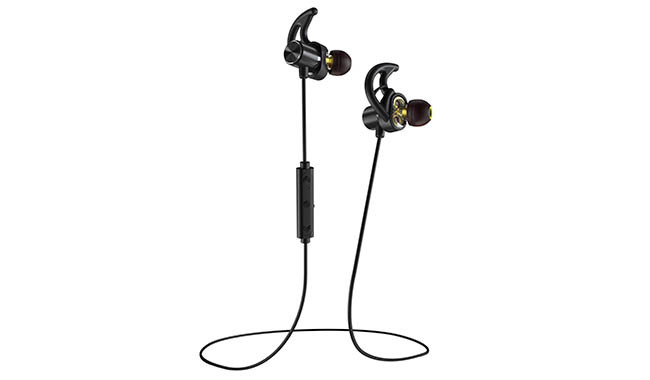 Jaybird Tarah are a great sounding pair of earbuds with Bluetooth that are suitable for running or lifting weights. While they lack a bit in battery life, they make it up with their price under $100. Acil H1 are versatile earbuds that can easily compete with more expensive wireless buds. Do you want earbuds with long battery life for less than $100? Then you should try Acil H1. The design is minimalist, yet sleek and attractive. These earbuds are made out of premium and durable materials. They’ll last for years. In addition, they are IPX5 waterproof. So no sweat or rain can harm them. Also, they are extremely lightweight, so you’ll forget you’re wearing them. And most of all, the battery lasts up to 11 hours on a single charge which is incredible. Add noise isolation and an affordable price and you get to understand why these are so popular. Check the best noise-canceling earbuds. These earbuds are not as stable as you would want them to be. These aren’t good for running or other sports. Their sound quality can surprise you. Even though this is an unknown brand, they sound good for wireless buds. Audio is rather balanced. That’s why every music genre can sound good with these. Acil H1 wireless headphones offer the longest battery life under $100 with comfort and excellent durability. Phaiser BHS-790 are the best low-end Bluetooth earbuds under $100. For well under 100 dollars you get solid wireless performance that doesn’t disappoint. These earbuds are for everyone that wants to save some money, but still get a good balance of sound, comfort, and durability (for under $50). Phaiser BHS-790 are suitable for sports, because of their tight, secure fit. Plus, they are lightweight and don’t irritate the ear canal. Phaiser also guarantees a lifetime sweatproof warranty. So if they die on you due to sweat, they will replace them without any questions. Their battery life is rather average. 5 hours of playback is just okay for a daily consumer. Nonetheless, the sound the in-ear headphones produce makes up for average battery. Music is clear and detailed. It’s really a lot better than what you’d expect under $50. Phaiser BHS-790 are an excellent choice for reliable wireless Bluetooth earbuds that cost less than 50 bucks. Looking for something cheaper? What about top Bluetooth earbuds under $50? 100 dollars is quite a bit of money, though, you won’t be able to get flagship buds from a reputable brand for it. Decent battery life. Right now, decent is anything from 5 hours up to over 10 hours per full charge. Some wireless headphones feature quick charging, but most don’t (you have to pay more money for that). Reliable Bluetooth connection. It’s essential for a good user experience. Signal cutouts are super annoying. You should look for a minimum Bluetooth 4.0+, preferably Bluetooth 5.0 for the strongest wireless signal. Work with any Bluetooth device. Good to great audio quality. Not all earbuds are made the same, but depending on the model, you can get great sounding buds with support for popular Bluetooth codecs (like aptX and AAC). Though, to get best-in-class sound quality from Bluetooth buds you usually need to spend more money. Years worth of durability. Buds under $100 often use quality materials and don’t skimp on build quality. So, you can expect your new wireless earphones to last at least a couple of years. 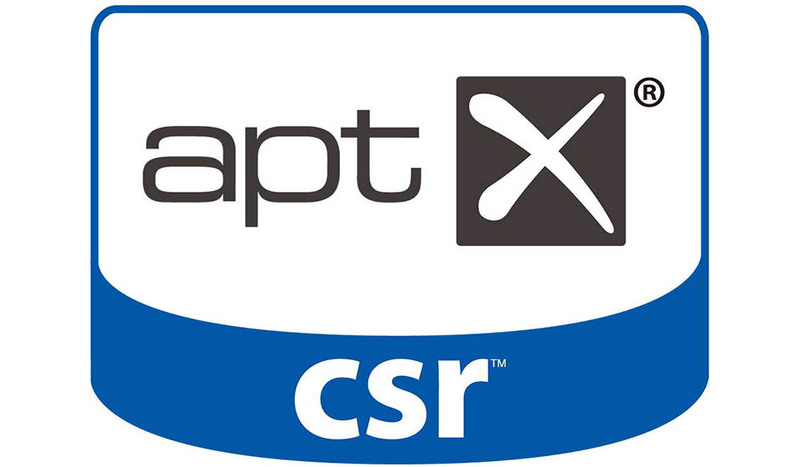 Look for IPX (or IP) certification or at least some kind of sweat-resistance protection. Reasonable comfort. These aren’t custom-molded in-ear monitors, so the comfort largely depends on the ear tips you’ll use. Get memory foam ear tips, we recommend Comply, to get the most comfortable fit (and noise isolation) from any wireless in-ear headphones. In-line microphone. A microphone for making phone calls is standard at this price point. Not for professional use but talking with your friends shouldn’t be a problem. In the end, the price tag around $100 is right in the middle between low-end, cheap wireless earbuds and high-end, flagship models that can go up hundreds of dollars. It’s a good middle point where you can expect most of the latest technology and features with high audio quality without paying a premium. You can’t expect noise cancelling earbuds (cost more money), but find them here. Sound quality over Bluetooth is decreased compared to wires, but that doesn’t mean you’re getting substantially worse audio anymore. Bluetooth technology has become more efficient at transmitting higher bitrates and thus better sound quality over the recent years. It’s not the same as wires but very close. You can check if you can hear the difference here. 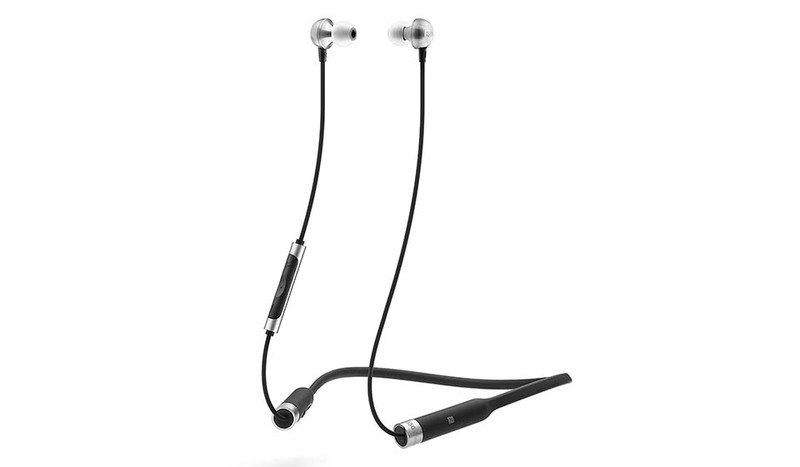 Nonetheless, Bluetooth headphones with more efficient Bluetooth codec support deliver better sound overall. To get better audio from Bluetooth headphones look for AAC, LDAC, and aptX (Low Latency, HD, Adaptive) codecs. Keep in mind your smartphone and earbuds need to support the codec for it to work. Most modern Android phones and iPhones support AAC, while aptX and LDAC aren’t supported on the iOS (iPhone). Right now there’s still a small difference in sound quality, but with time we expect it to diminish. Note: Here are some Bluetooth over-ear headphones you might want to check. Thanks for checking out our guide. If you have a good pair of wireless earbuds (under $100) we could add in mind, let us know.